Condom Couture is a Project Runway-style annual event where local students create dresses entirely out of condoms, modeled by people from the community. The show was inspired by a 2008 study by Centers for Disease Control and Prevention, which found that one in four teenage girls in the United States has a sexually transmitted infection. Condom Couture was born of Planned Parenthood of Central Ohio board member, Lonni Thompson’s idea for a creative way raise awareness. The idea is now being imitated by other events in several other cities across the country. Condom Couture 2012. Photo by author. Since 2008 Condom Couture has raised more than half a million dollars for Planned Parenthood of Greater Ohio (PPCO became PPGO this year) and has awarded scholarships (gifted by an anonymous donor) to the top three student designers every year. This year’s winner was Julie Ward, who produced a gold-painted, rolled condom dress, which she says was inspired by Alexander McQueen. 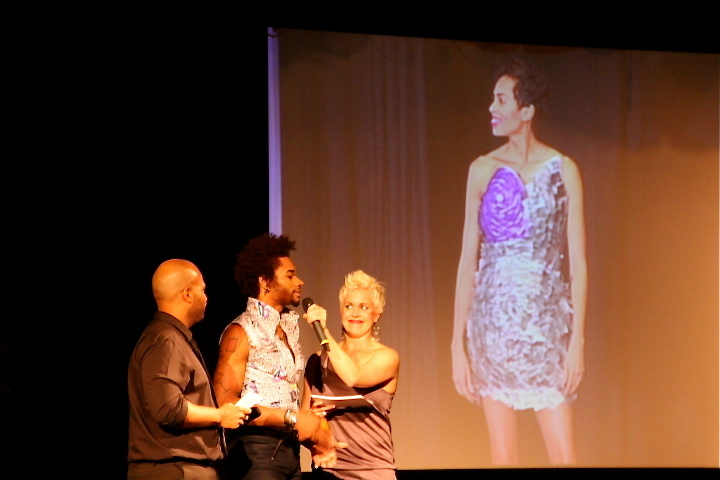 Condom Couture’s winning design. Photo by author. 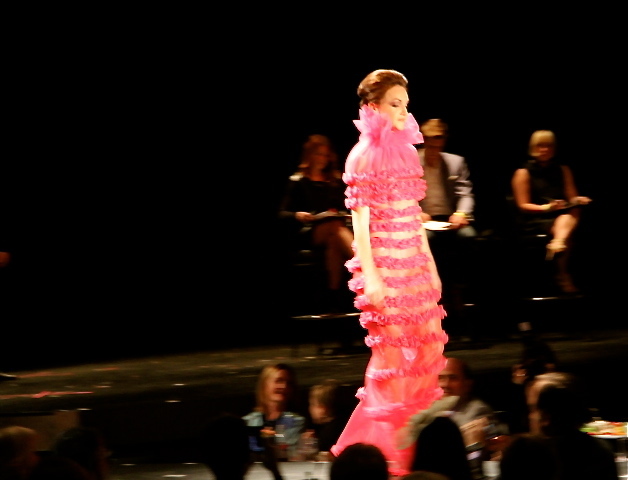 The second place prize went to Bridgette Steven’s pink gown, inspired by her mother’s battle with breast cancer. Condom Couture’s second-place winner. Photo by author. Marquis Lucky-Engle, who received his HIV+ status at a Planned Parenthood clinic, got third place. His model wore a silver shell made of unwrapped condoms, which she removed to reveal a paint-splattered mini dress underneath. Third place; Condom Couture. Photo by author.